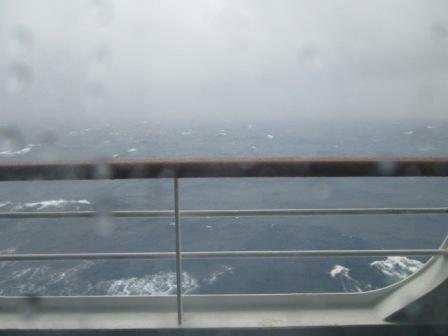 After the bleak crossing, fortunately the weather improved as we approached Auckland. 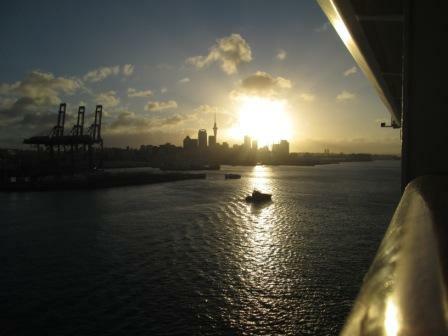 It’s always nice coming into the harbour, especially after days at sea. 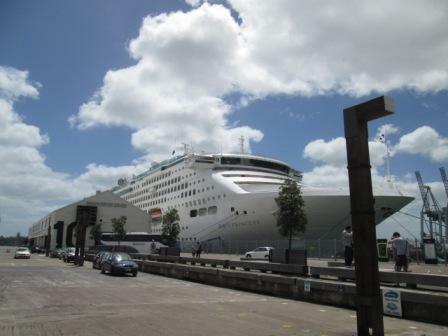 The Dawn Princess docked before 10am, ready for disembarkation. 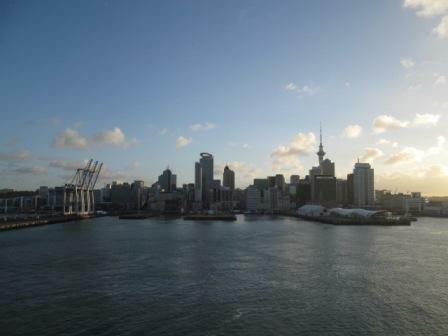 Having been to Auckland last year, we took a fairly quiet approach this year, but I did manage to buy two bathmats, a new handbag and a new top. I told you I took it easy! We came back onto the ship for lunch, and then decided to stay on board and catch the afternoon movie in the Princess Theatre entitled “Now You See Me”, which I heartily recommend. 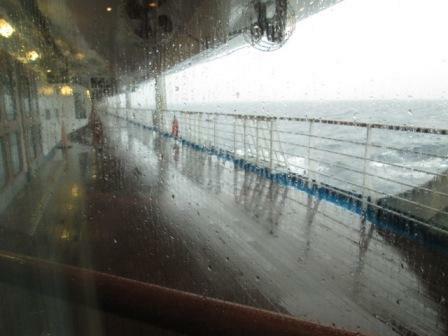 Then it was time to sail away overnight for our next destination. 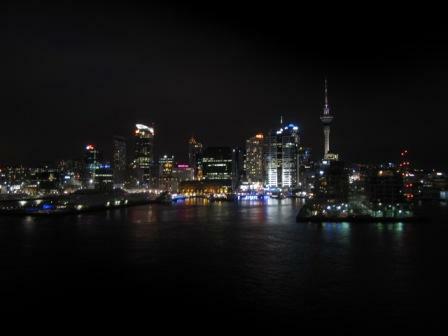 Last year on the same cruise, we obviously left later, as evidenced by the city skyline at night. 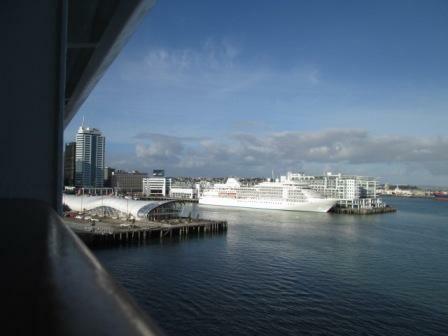 This entry was posted in Activities, Auckland, Cruising and tagged cruise New Zealand, NZ cruise, Princess cruise. Bookmark the permalink.